The woman accused of beating and burning a teenager to death in Ensley will be sentenced Friday, and the judge will have to decide whether to sentence her to life or death. Tina Brown, 42, was convicted in June of killing Audreanna Zimmerman, 19, in March 2010. Zimmerman was repeatedly beaten and hit with a stun gun before she was taken out to a wooded area and set on fire. A jury unanimously recommended that Circuit Judge Gary Bergosh sentence Brown to death, but the decision is ultimately in Bergosh�s hands. Bergosh will make that determination during a hearing and sentencing set for Friday afternoon. He is also able to sentence Brown to life in prison. Brown�s daughter, 19-year-old Britnee Miller, is awaiting sentencing after pleading to a first-degree charge in the same case. Another co-defendant, Heather Lee, received a 25-year prison sentence from Bergosh after pleading to a second-degree murder charge. The woman who beat and burned a teenager to death in Ensley in March 2010 was sentenced to death this afternoon. 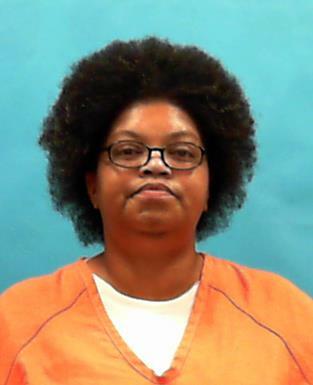 Tina Brown, 42, was convicted in June of killing Audreanna Zimmerman, 19. Zimmerman was repeatedly beaten and hit with a stun gun before she was taken out to a wooded area and set on fire. During a brief hearing this afternoon, Circuit Judge Gary Bergosh sentenced Brown to death. Reading from his order, Bergosh said the case made by prosecutors, which in part detailed the heinous way Zimmerman died, outweighed evidence presented by the defense. The defense, during the penalty phase of the trial, had multiple family members and doctors testify, and said Brown has lived a hard life full of drugs and sexual abuse. This life influenced her state of mind and the decisions she made at the time Zimmerman was killed, according to testimony. �I hope today they get it,� Brown said. Bridgette Jensen, the prosecutor handling the case, said she is pleased with the judge�s decision, as the State Attorney�s Office do not take seeking the death penalty lightly. �This is certainly one that qualified based on the nature (of the murder),� Jensen said. Bergosh noted that everyone sentenced to death has their case reviewed by the state Supreme Court. John Jay Gontarek, Brown�s attorney, also pointed this out during comments made after the sentencing. �These cases are difficult cases, and of course we�re sympathetic to the family of the victim,� Gontarek said. Brown's daughter, 19-year-old Britnee Miller, is awaiting sentencing after pleading to a first-degree charge in the same case. Another co-defendant, Heather Lee, received a 25-year prison sentence from Bergosh after pleading to a second-degree murder charge. An Escambia County teenager convicted of beating and burning another woman alive has had her sentencing delayed in courtroom Thursday. Britnee Miller, 18, will be sentenced for first degree-murder and kidnapping charges on February 5 at 2 p.m.
She, along with her co-defendants Tina Brown and Heather Lee, were all convicted of murdering Audreanna Zimmerman, 19, in March 2010. Investigators say they beat Zimmerman with a crowbar, Tazed her and then set her on fire. Tina Brown received a death sentence back in September. Heather Lee, received a 25-year prison sentence after pleading to a second-degree murder charge. An Escambia County woman has been given life without parole for her role in beating a woman and setting her on fire. Britnee Miller was convicted of first-degree murder and kidnapping last year. Investigators say Miller, Tina Brown and Heather Lee beat Audreanna Zimmerman with a crow bar and set her on fire in 2010. Brown received the death sentence for her role in the murder and Lee was sentenced to 25-years. In today's opinions, the Florida Supreme Court AFFIRMED Brown's conviction and sentence of death imposed by the trial court on direct appeal. The Florida Supreme Court unanimously upheld the conviction and death penalty sentence of a Pensacola woman accused of beating a 19-year-old with a crowbar, shocking her with a stun gun and then setting her on fire, according to the State Attorney’s Office. Brown, her daughter Britnee Miller, then 16, and neighbor Heather Lee, then 27, attacked Zimmerman in Brown’s Ensley trailer in 2010. Investigators said the attack was sparked by a disagreement over a male. Zimmerman was able to run to a nearby home and call 911 after the attack, investigators said. She was transported to a Mobile, Ala., hospital with severe burns across 60 percent of her body. She died two weeks later. In today's orders, the United States Supreme Court declined to review Brown's petition for certiorari.